Wat Pho (The Temple of the Reclining Buddha) is one of the largest and oldest wats in the city of Bangkok and famed for its giant reclining Buddha that measures 46 metres long and is covered in gold leaf. The temple complex houses the largest collection of Buddha images in Thailand. It’ a must see if you’re in the Phra Nakhon District of Bangkok. When you walk into the complex it was like being in a totally different place with lots of unbelievable temples with colorful and intricate design. Wat Pho has more than a thousand Buddha statues which were collected from abandoned temples in other parts of Thailand during the time of King Rama I. This complex covers about 8 hectares of land. Aside from the Buddha images and temples, Wat Pho is considered the center of preservation of traditional Thai massage. It is actually a massage school with pavilions located inside the complex. It was the first public university in Thailand specialising in religion, science, literature and medicine. The structures known as Prang were stunning. They came in different sizes, some were small others were huge and what’s fascinating is the fine details and colors of each prang. It makes me think how much time and effort must have been poured into making these structures. 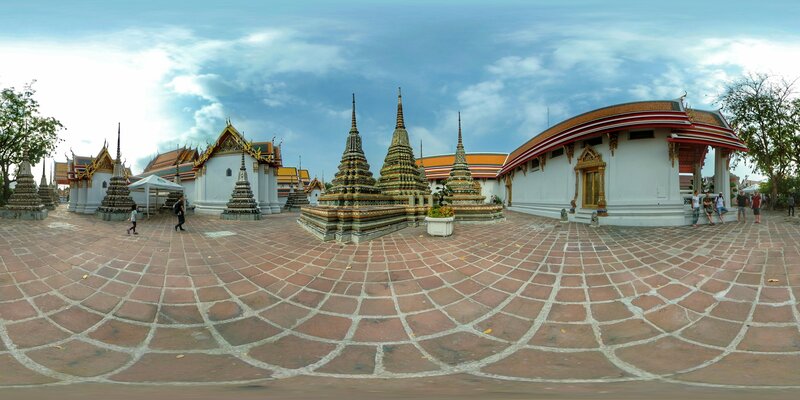 Wat Pho existed before Bangkok was established, the original temple was founded in the seventh century with the name Wat Phodaram or Podharam, from which the name Wat Pho is derived. Before that the location was used as a centre for traditional medicine. It wasn’t until 1801 under King Rama I that the temple was restored and enlarged and given the new name of Wat Chetuphon, known more colloquially as Wat Pho. 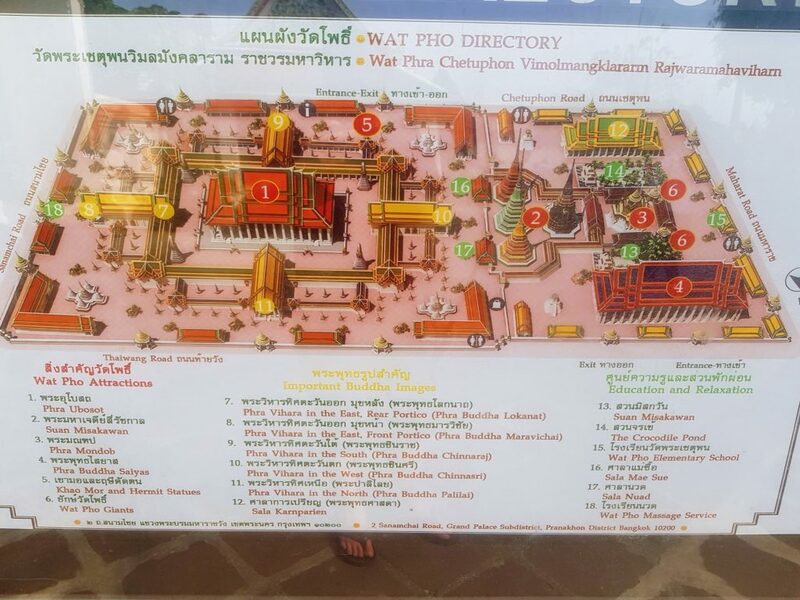 The full official name is Wat Phra Chetuphon Vimolmangklararm Rajwaramahaviharn. Under Rama III more restoration and construction took place at the temple. At a time when the ancient art of Thai massage was in danger of extinction, the king established what is regarded as Thailand’s first university where the traditions of Thai medicine and massage would be preserved and taught to future generations. To this day, Wat Pho is the national headquarters for the preservation and teaching of traditional Thai medicine and massage. All visitors must wear appropriate clothing; this means no exposed shoulders or skin above the knee. Price: The entrance fee is 100 baht and includes a free bottle of water. 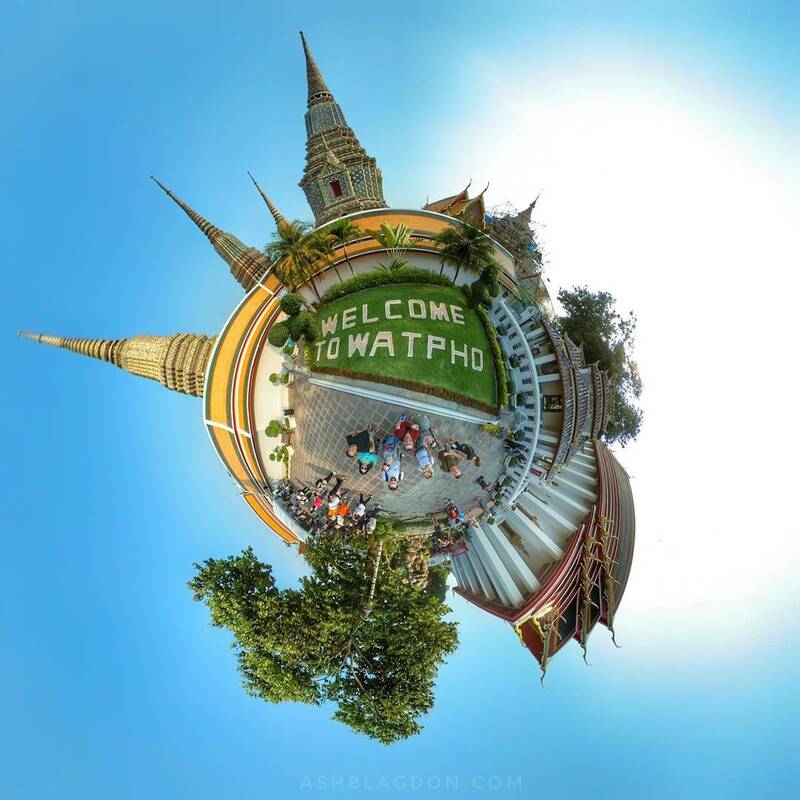 Have you been to Wat Pho? What did you think of the Giant Buddha?